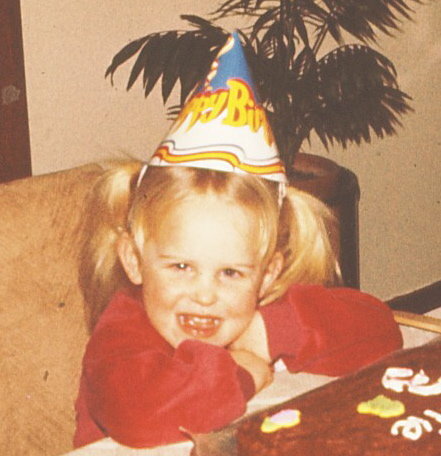 I am happily enjoying my November studio space as part of the St(art) Residency at Art Central and have decided to do a series of awkward birthday party photos from our collective childhoods (circa late 1970's). The first is of my friend Natalie...what does that facial expression say? Does she or doesn't she like chocolate cake? Voila the original and the work in progress. Haven't decided on whether or not the potted plant stays or goes. I am drawing them the old school way (of course) by gridding out the photo and transferring the grid onto the canvas. Hmmm...her face seems a bit chubby, shortened from the original. Man, this blog is useful sometimes! Hope to see you tommorow night for First Thursday or at my show on November 26!